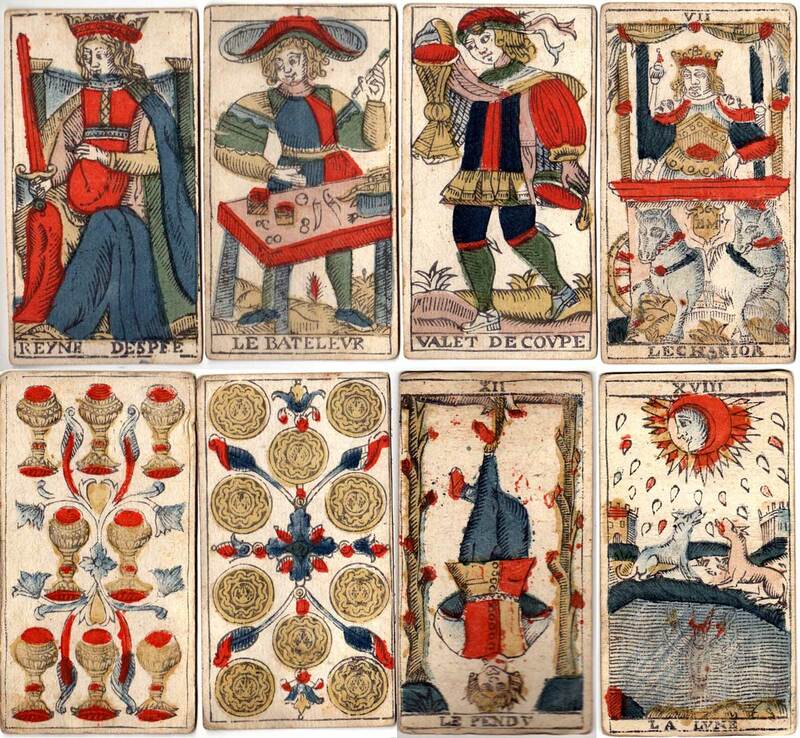 Marseille tarot cards, with Italian suit symbols on the minor cards, first arrived in France from Italy in the first half of the sixteenth century and then flourished in South-Eastern parts of France and neighbouring parts of Switzerland and North-West Italy. This particular example of Tarot de Marseille cards by Charles Cheminade of Grenoble, France, dates from the first half of the 18th century and may have been made for export to any of those countries. 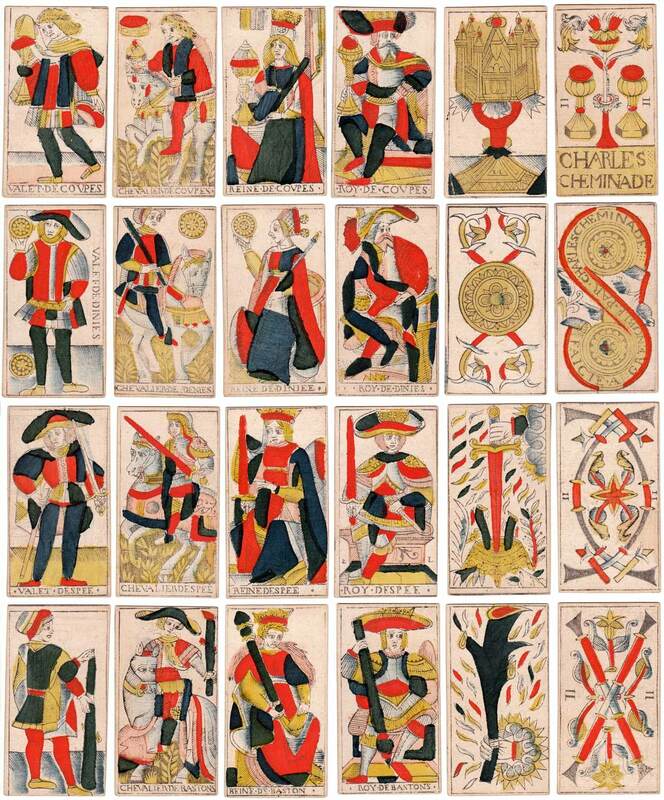 The Trump cards appear in the traditional order, with titles in French. The letter 'V' is used for 'U' (as in classical Roman inscriptions) and also some idiosyncrasies or corruptions in the spelling can be noted. 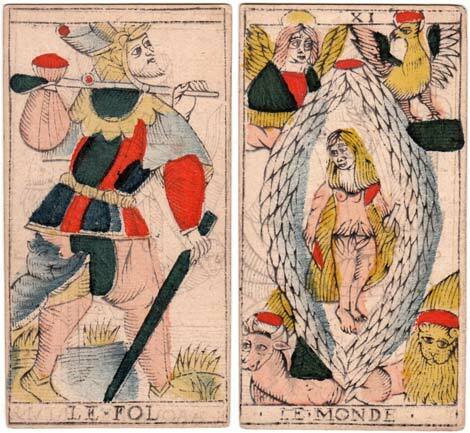 For example, Le Chariot appears to be spelled LECHARICR and The Fool is titled LE•FOL. The Emperor appears to be numbered III but with an Arabic 4 lower down. The Death card is untitled and facing left. Court cards are titled Valet, Chevalier, Reine and Roy. 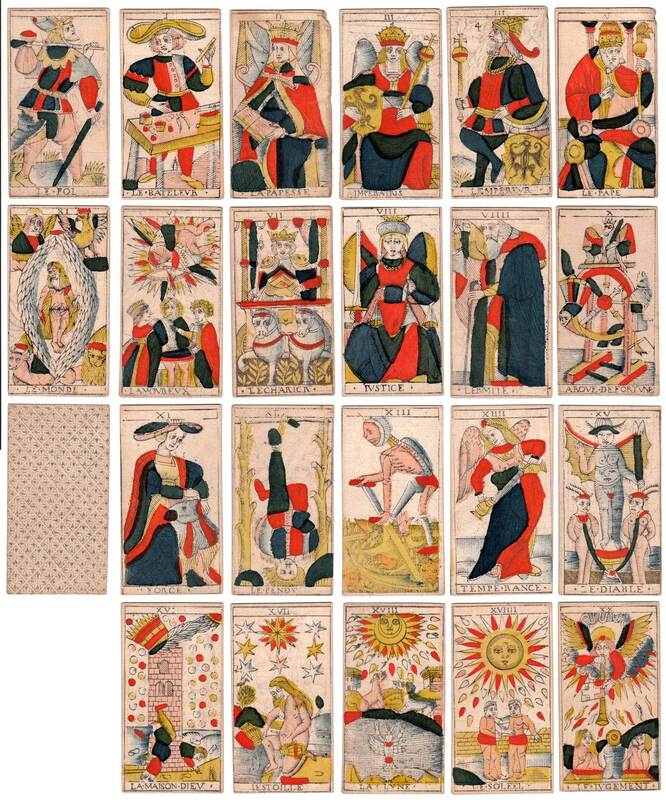 Above: Marseille Tarot Trump cards by Charles Cheminade of Grenoble (1714-44), France, early 18th century. Stencil-coloured woodblock printing. All images courtesy Rex Pitts. 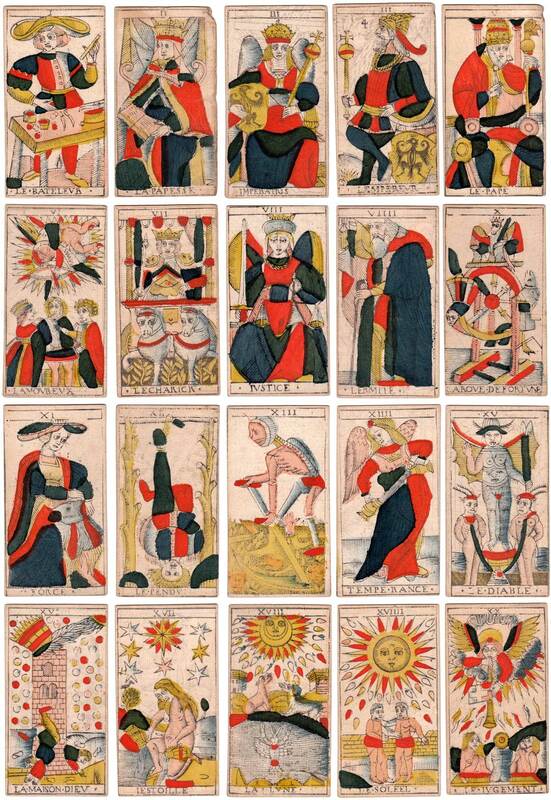 Above: Marseille Tarot court cards by Charles Cheminade of Grenoble (1714-44), early 18th century. Stencil-coloured woodblock printing. The court cards have a touch of the South of France about them compared to Italian versions. All images courtesy Rex Pitts.